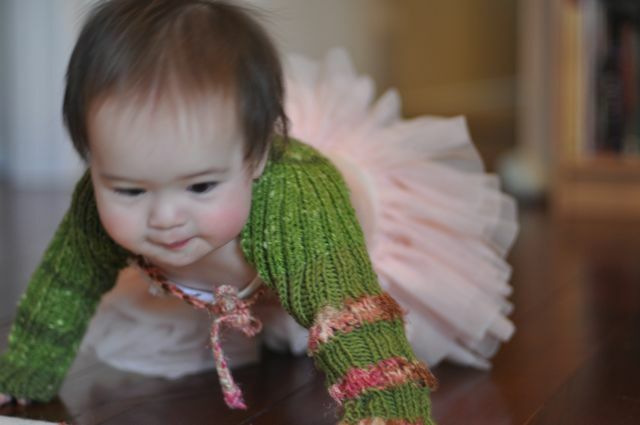 I really like knitting for babies and toddlers for the sole reason that I can finish an item in a week or less. Knitting with big wool and big needles also makes it faster, so with that in mind I made a simple knitting pattern for a toddler’s shrug. This can be adapted to fit wee little newborns or even grown-ups. And it is really basic. 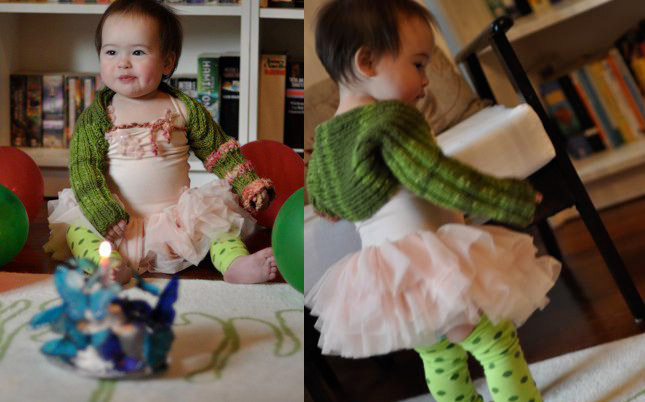 I think beginner knitters can do this!! Here is the basic shape your are trying to knit. I have colour coded sections to help you get an idea of what part you are knitting.The exact measurements are up to you. The first one I made had really long arms. It was for an 8month baby and the arms were long enough for my 3 year old (he may or may not be my living”dress doll” for all my sewing projects). Not a problem. I folded them back and put a couple of stitches in to keep them up. It made a cute cuff. In the future I can un-pick the stitches and lengthen the arms. I used Lincraft “Surprise Yarn” 12 ply 100g ball to make the purple one. It is really soft and I just love varigated yarn. It always makes knitting a bit of fun. This yarn does say to use 5.5mm needles, but I used my 7mm ones. 1. Cast on 32 stitches. 2. Rib (2 knit. 2 purl) until measures desired arm length,mine was 23cm (see blue sections on diagram). 3. At the beginning and end of the next 4 rows, at 2 stitches (see pink sections on diagram). At the end you should have 48 stitches. 4. Continue Rib to create back section, mine measured 32 cms (see purple section on diagram). 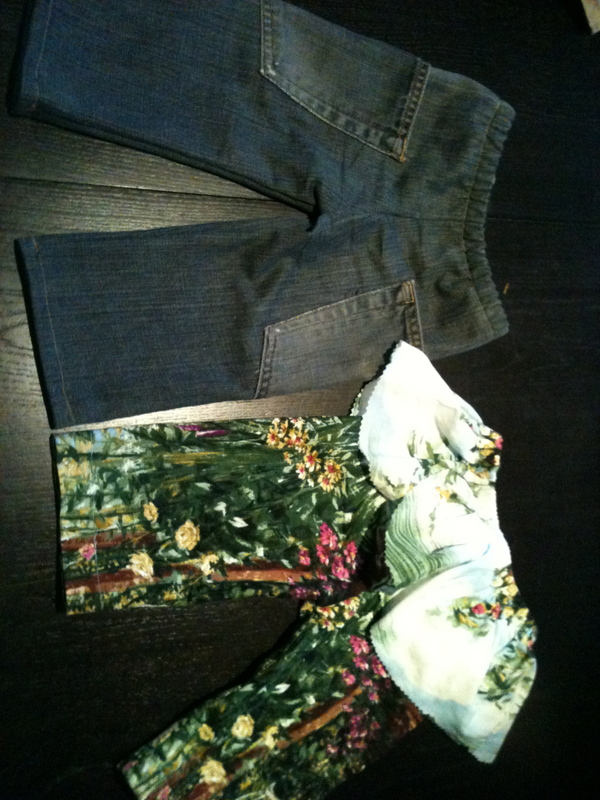 Get out some or your childs current clothing and measure to see what you need. 5. Over the next 4 rows, reduce 2 stitches at the beginning and end of each row. You should end up with 32 stitches again. 6. Rib the 2nd arm the same length as your 1st and then cast off!! 7. Sew up arm seams (see red markings on diagram). 8. Attach a tie to the end of your seam under the arm (see green markings on diagram). I just plaited some of my kntting yarn, but ribbon would be nice too. I like to sew and I like to recycle so the concept of upcycling is right up my alley! It is not a new phenomenon, people have been making all kinds of stuff out of old stuff for ages. We have all seen that gorgeous recycled timber furniture or artwork made from old anything, really. Some upcycling looks great, some does not. Here is a list of blogs dedicated to upcycling. Upcycling doesn’t just mean homemade. Melbourne based fashion designer, Ellie Mucke has made a whole range of clothes and jewellery from recycled materials. Her cleverly designed work is sustainable, ethical and an inspiration to other businesses. Fashion and being environmentally minded go hand in hand here. You can look good, and really feel good on many levels! More and more I am concerned how cheap it is to by children’s clothes form large department stores that perhaps are in fact costing the earth in other ways through the manufacturing of new fabrics and the use of sweatshop labour. It seems a bit too easy to just buy new stuff and throw the other stuff out when it gets too small or a bit worn. 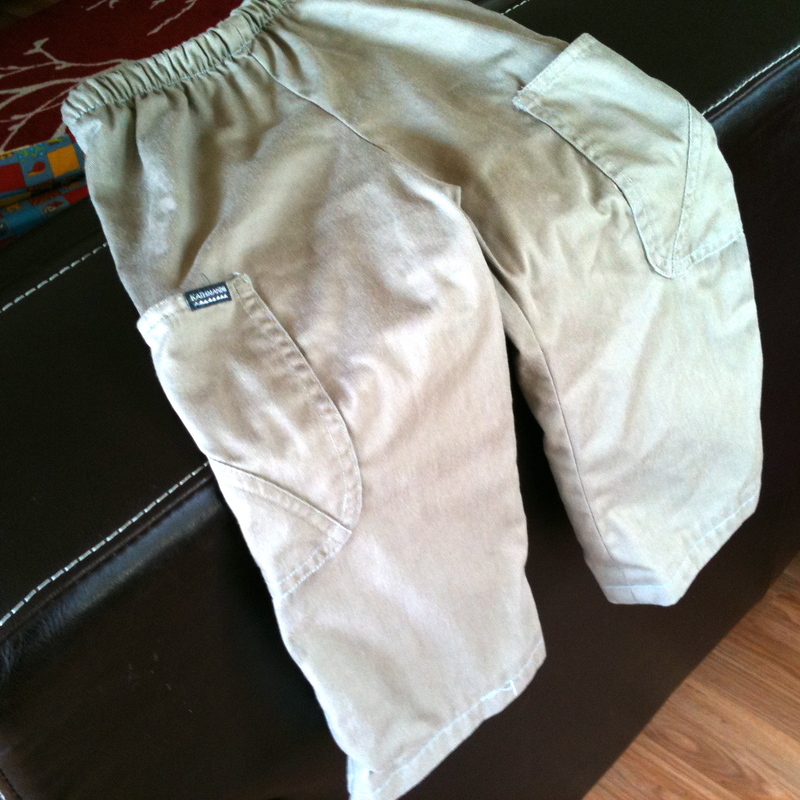 I came across a free pattern on the web a while ago for making easy toddler pants and more recently I decided that I could use my husbands old pants instead of buying new fabric. Thrifty & environmentally friendly!! 2. After cutting out the pants, find a nice comfy seat and get out your unpicking tool- unpicking the back pockets off pants can take some time. Jeans can be particularly time consuming. 3. 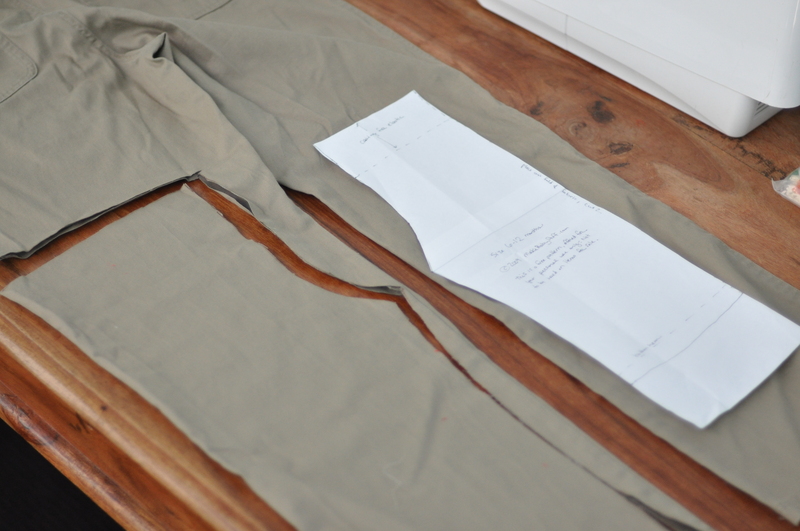 Pin your pockets onto the pant legs BEFORE you do any sewing. It is much harder to sew them on after you have sewn the pant legs up! 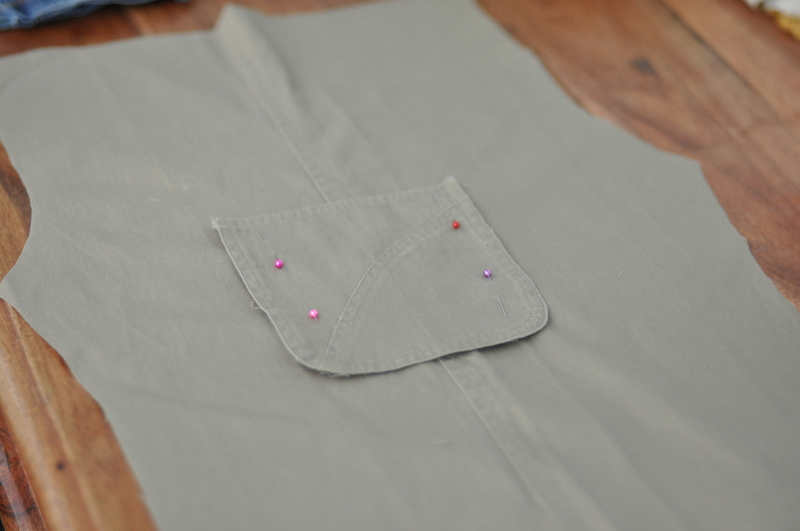 I always sew them on the side down a bit lower than regular pockets so they are easy to use. They also look pretty funky! Sew the pockets on following the marks from where the old stitching used to be. 4. Sew up the legs! 5. Add some elastic for the waist. 6. Hem. 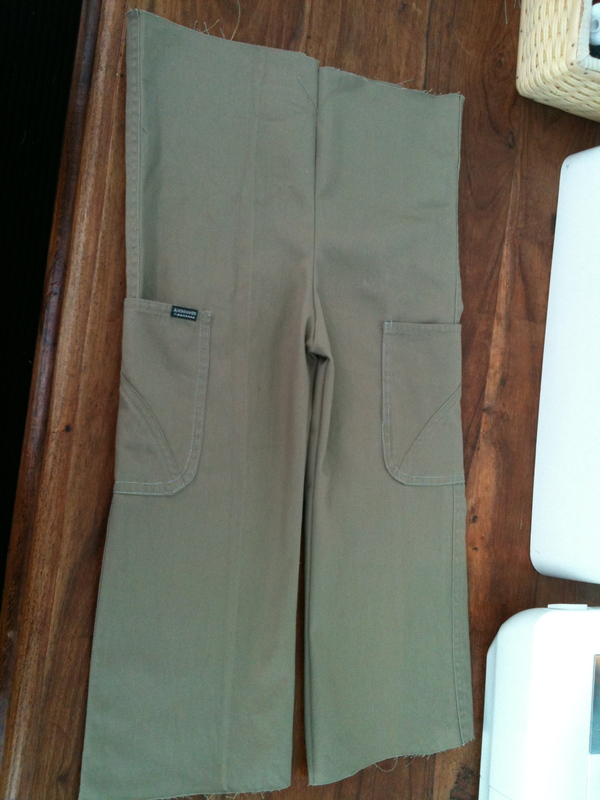 I try the pants on before hemming. Measuring the length of pants from another pair doesn’t always work out!! 7. Sit back and bath in the glory of your new, funky, environmentally friendly, thrifty new pants.